The Noguchi Masaki interplanetary mining corporation welcomes you to its outpost on Titan, the dark moon of Saturn! 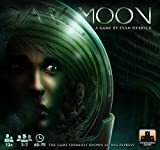 You will be joining an experienced crew of miners, technicians, and adventurous souls who live to experience all the wonders that our solar system has to offer. Purpose, loyalty, camaraderie, friendship, and sacrifice all await you as a new and valued member of the Noguchi Masaki family! 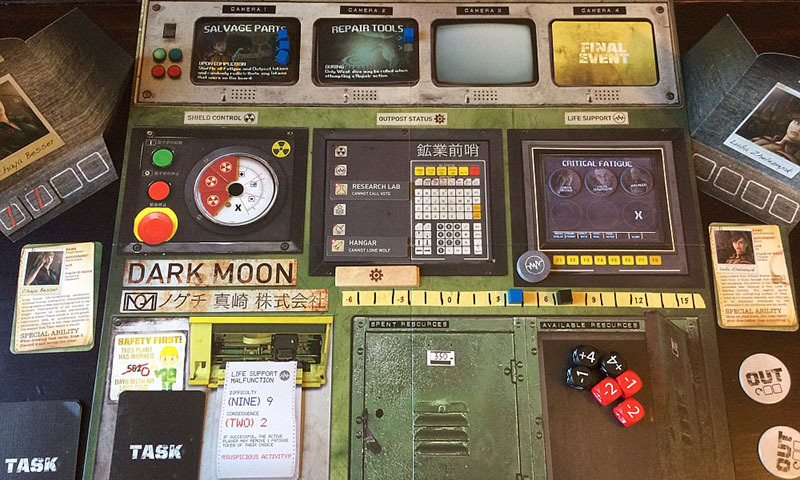 At the start of the game, players are divided into two teams: Uninfected and Infected. The Uninfected team simply needs to survive until the end of the game, while the Infected team secretly attempts to destroy them. Each player knows which team they are on, but does not know which team the other players are on! Who is your teammate and who is your enemy? Can you trust your best friend? And why doesn't anyone trust you when you tell them you're one of the good guys?! 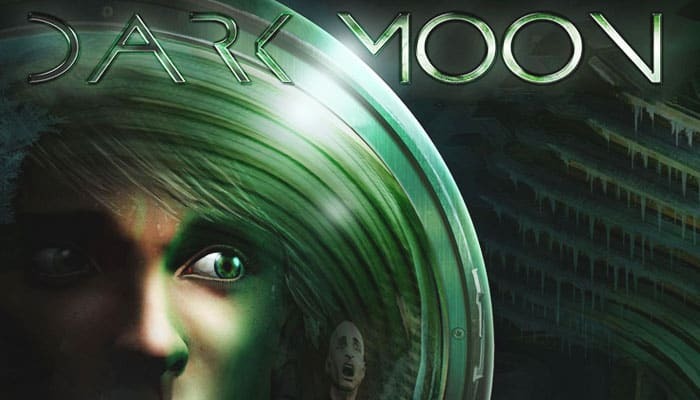 Dark Moon is a team-based game of paranoia and betrayal. The Uninfected team simply needs to survive until the end of the game, while the Infected team wants nothing more than to destroy them. Each player will know which team they are on but will not know which team the other players belong to. Who is your teammate and who is your enemy?